Minimum quantity for "AraabTV THD504L 2 Year Service Renewal" is 1. 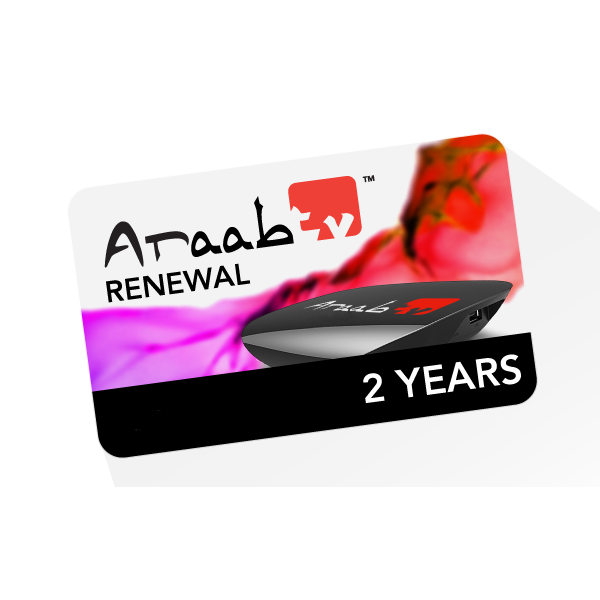 Extend the service on your araabTV THD504L for two more years and continue watching live TV channels. Note: This product is none-refendable and can not be returned. This product will be delivered by email or by phone. Please include the MAC number for your device in the comment section during checkout to speed up the processing time.